SKUGGA lets you have full control of your hands while having the optimized vision for your current situation. SKUGGA is optimal for driving, sporting, shopping or any other activity when your surrounding light might vary during time. Imaging yourself driving during a bright day and entering a dark tunnel – SKUGGA will be there for you, adjusting the tint. If you prefer to adjust the tint by yourself, just swipe the controller in your SKUGGA-app and there it is! In comparison to photochromic glasses, that adjust the tint depending on the UV-light, SKUGGA can be used while the light but not the UV exposure is the actual issue. 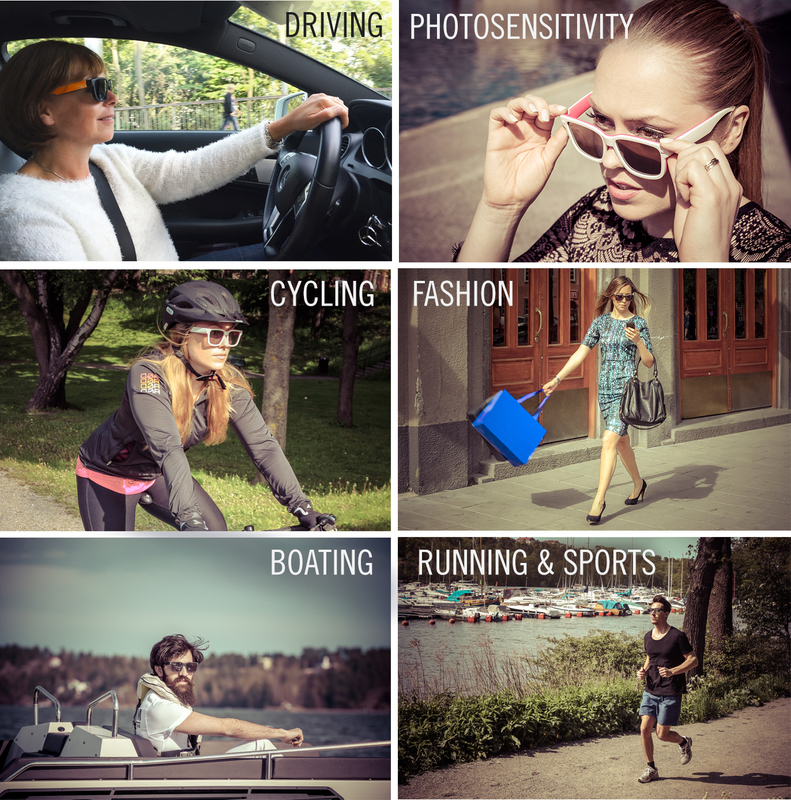 Photochromic glasses does not work while driving or being indoors, making them limiting in the everyday life. Moreover, SKUGGA adjusts the tint way faster and can give you a darker tint. The SKUGGA Technology is also perfect for people suffering from photosensitivity due to glaucoma, cataract, migraines or others.